On June 22nd and 23rd, a team of our employees banded together and walked for 24 hours in support of the fight against cancer. 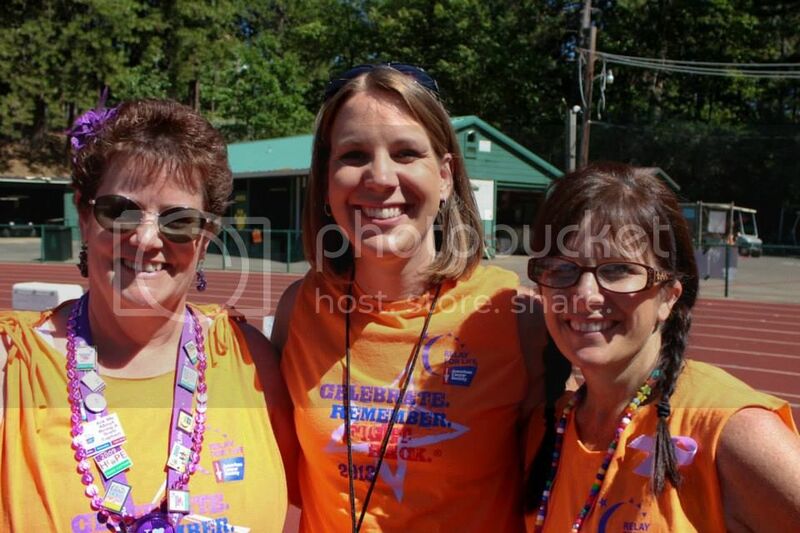 We are very proud of our team members, especially survivors Jess Provencio and Rena McKelvie, two of our Life and Health Agents. 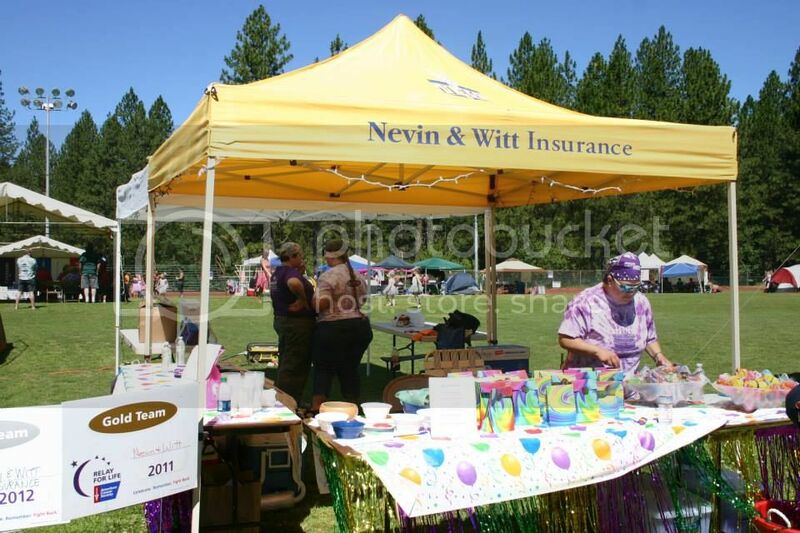 Nevin and Witt has been proudly supporting the American Cancer Society for 6 years through sponsoring and participating in the annual Relay for Life. 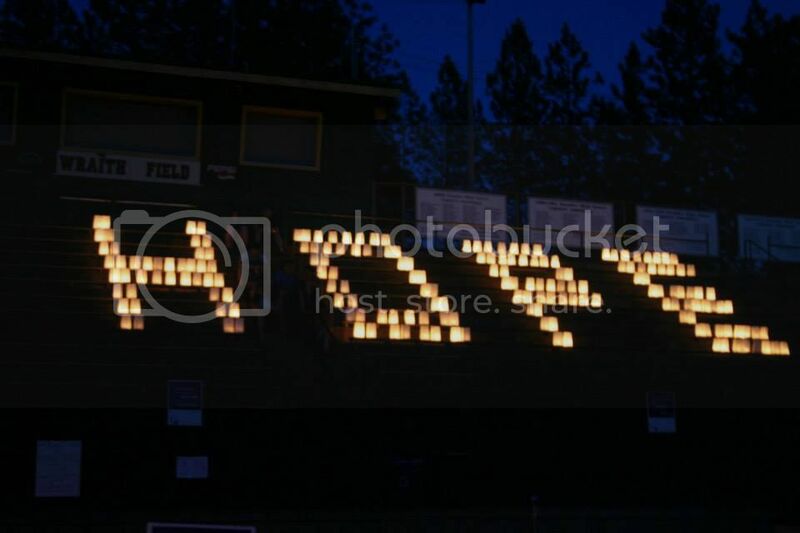 What is the Relay for Life? For 24 hours, participants walk laps at a local track in honor of those who have been lost to cancer, have survived cancer, or are currently fighting the disease. As the American Cancer Society's main fundraiser, almost $4 billion has been raised worldwide since the idea's inception in 1985 by Dr. Gordy Klatt of Washington. This year, Nevin and Witt raised nearly $4,000, and was honored as a Silver Team Sponsor. 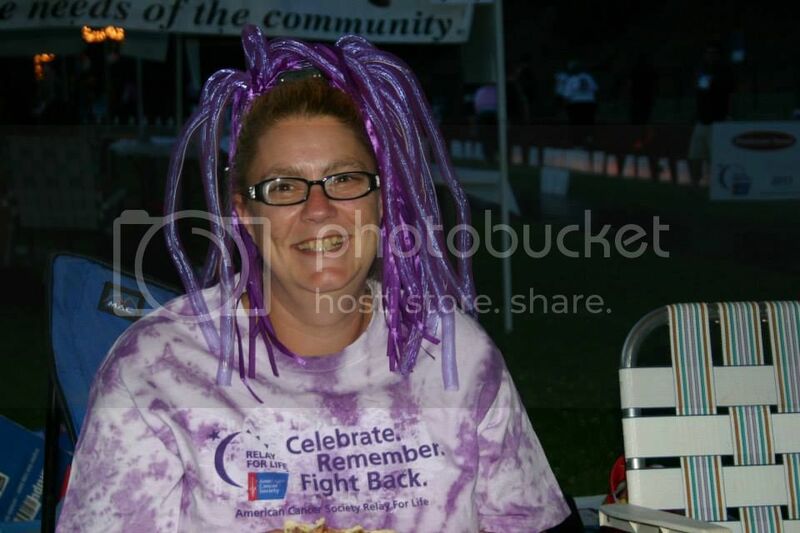 Our very own Linda Taylor from the Paradise office raised the most with donations totaling nearly $800! Also, we are happy to announce that this year we won 1st Place for Best Mission Delivery. Our colorful walk-through display detailed information for survivors and fighters, as provided by the American Cancer Society. Please take a look at some photos from the wonderful event and feel free to share through your Facebook, Twitter, or Pinterest accounts! 1. 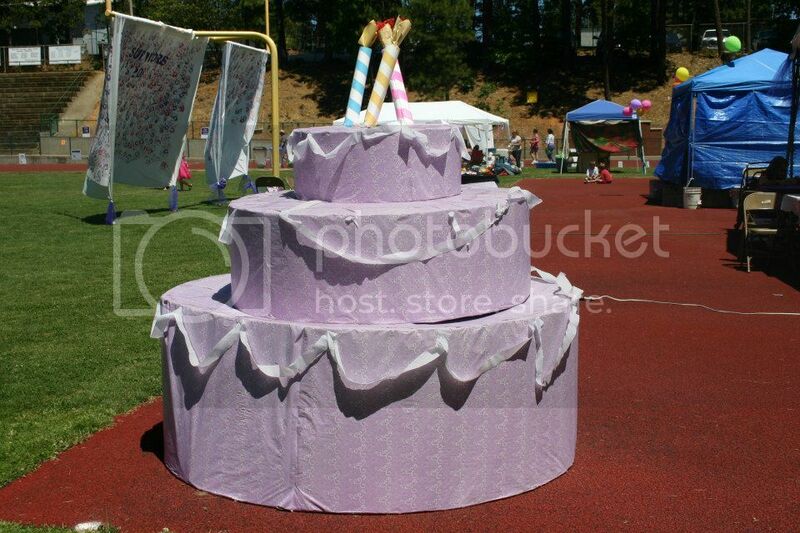 Honor survivors who have lived to celebrate another year of life. 2. 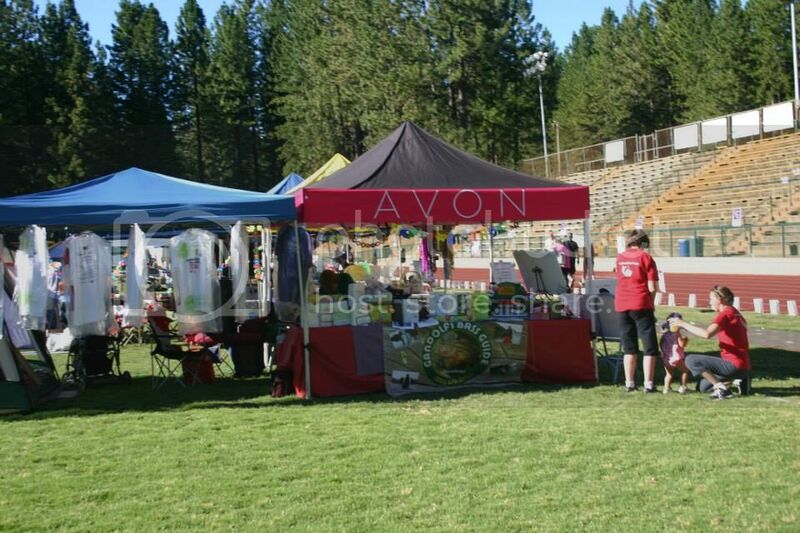 Visit sponsor's tents for fun prizes and raffles. 3. 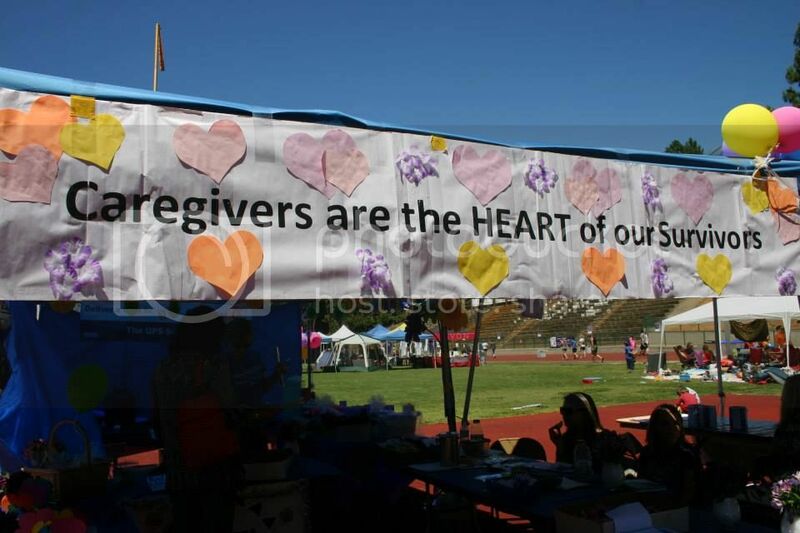 Honor caregivers, who play an important role in the fight against cancer. 4. 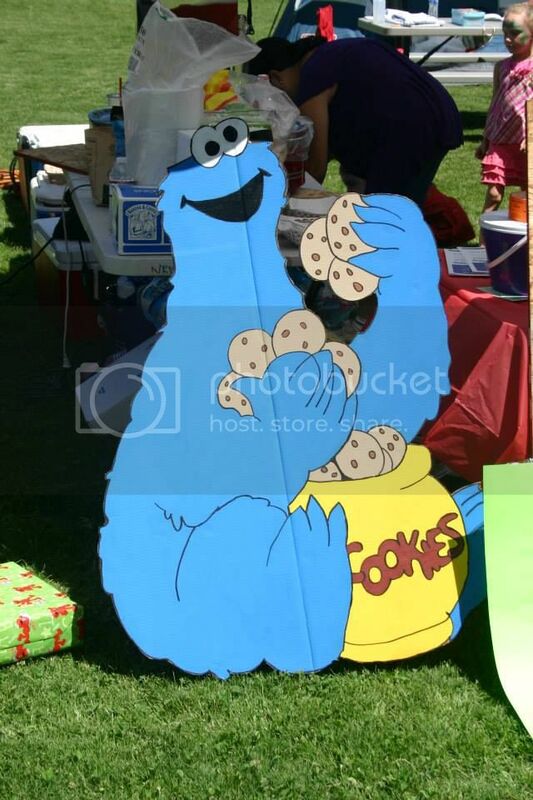 Did somebody say "cookies"?! 5. 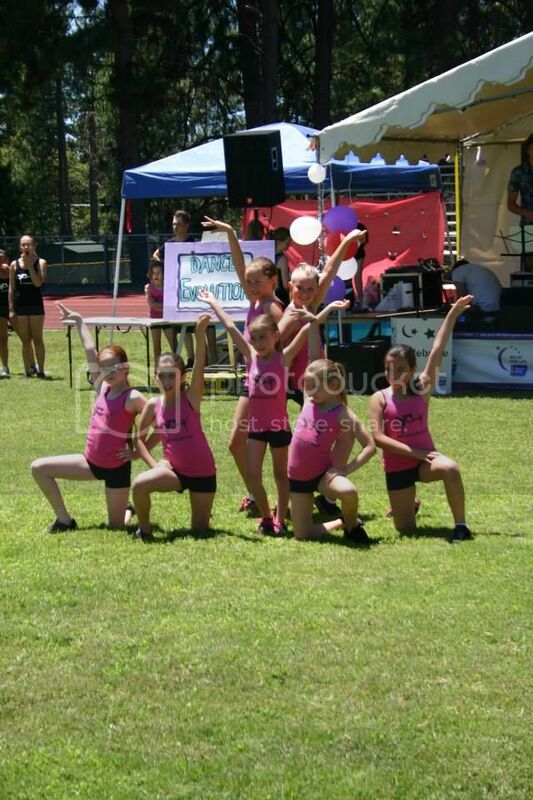 Watch free entertainment by local dance troupes. 6. 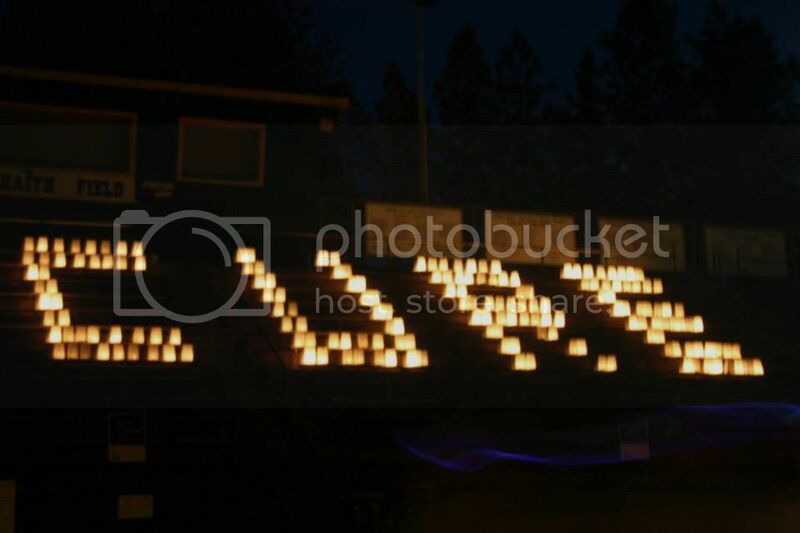 Donate a luminaria in the name of a survivor, fighter, or lost loved one. 7. Hang with some really cool people. 8. 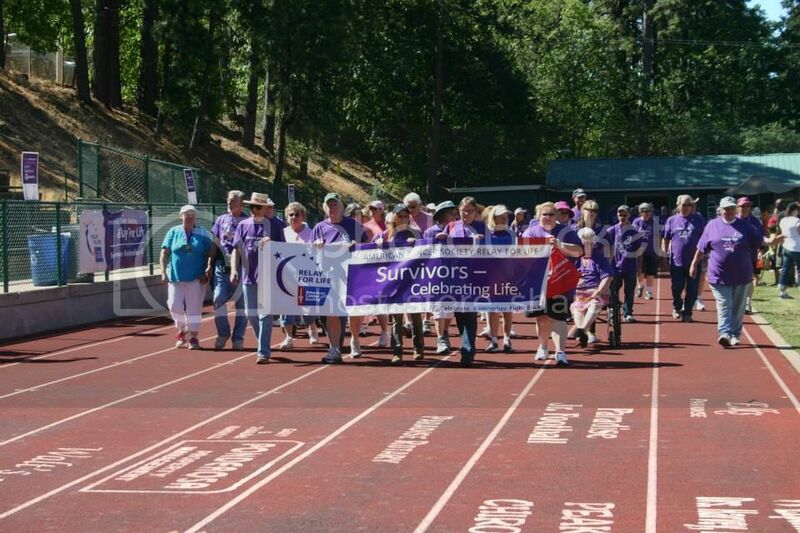 Walk a lap with the survivors if you've fought cancer and won. 9. 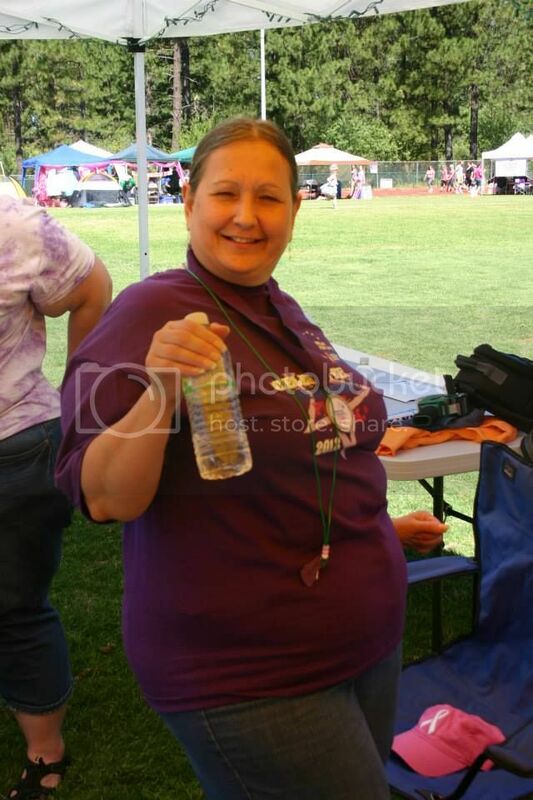 Cool down with some water handed out by our own survivor, Rena. 10. Wear some pretty cool headgear. 11. Hope for a cure. 12. Support local business owners. 13. 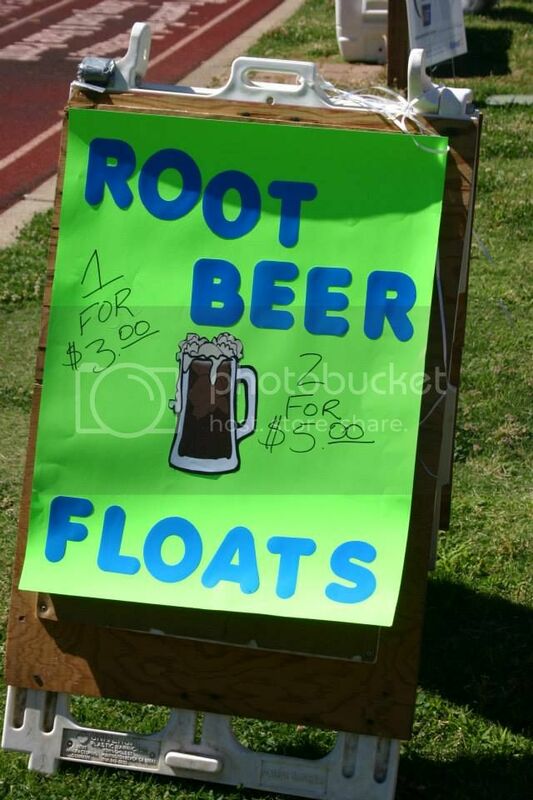 Root beer floats, anyone?! 14. Hug a survivor. Here is our agent Jess. 15. 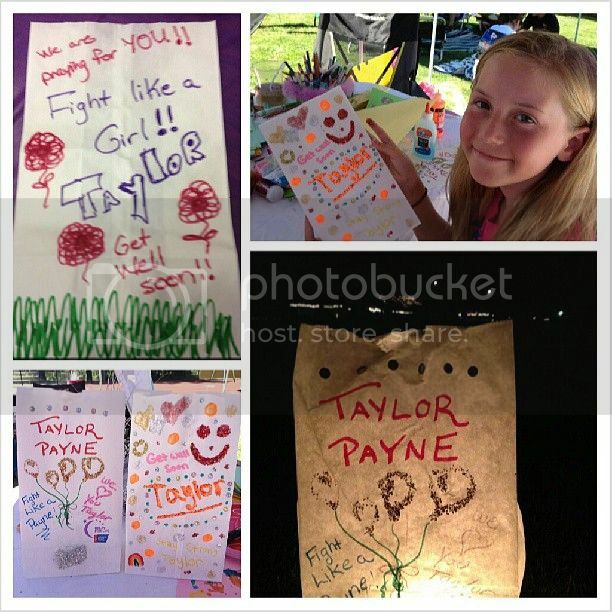 Honor a young fighter like Taylor Payne. 16. 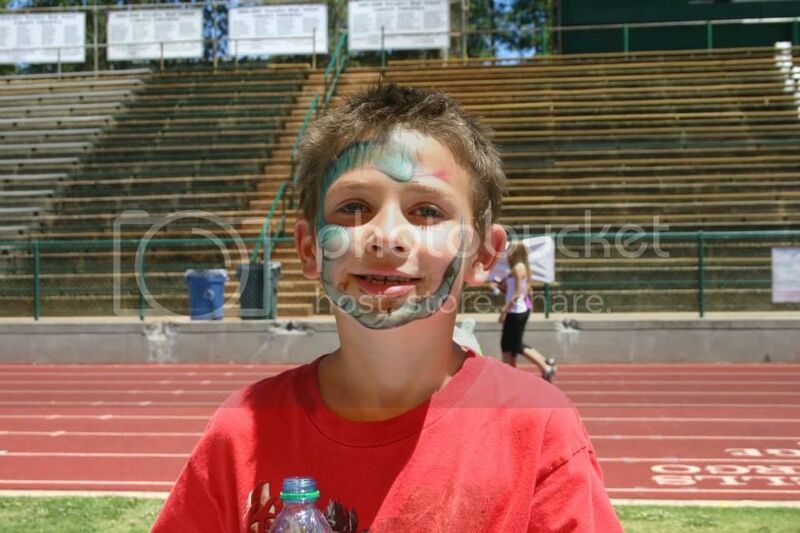 Get your face painted. 17. 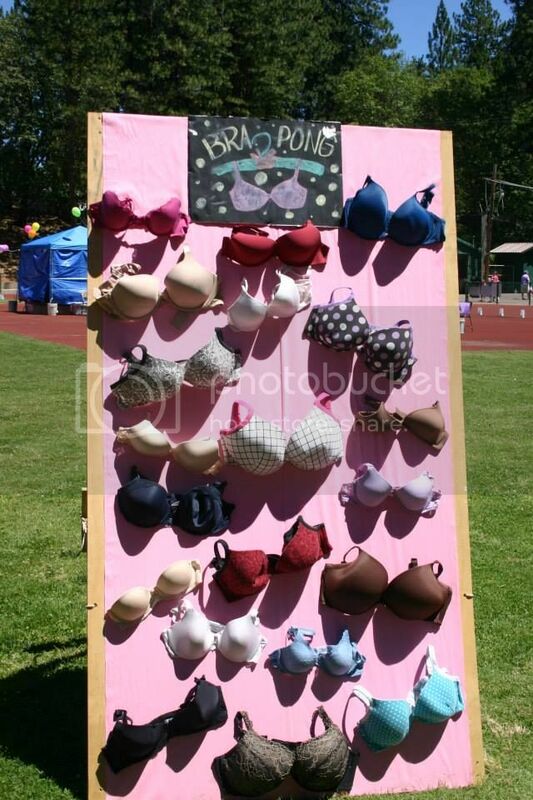 Play bra pong. That's a new one on us. 18. 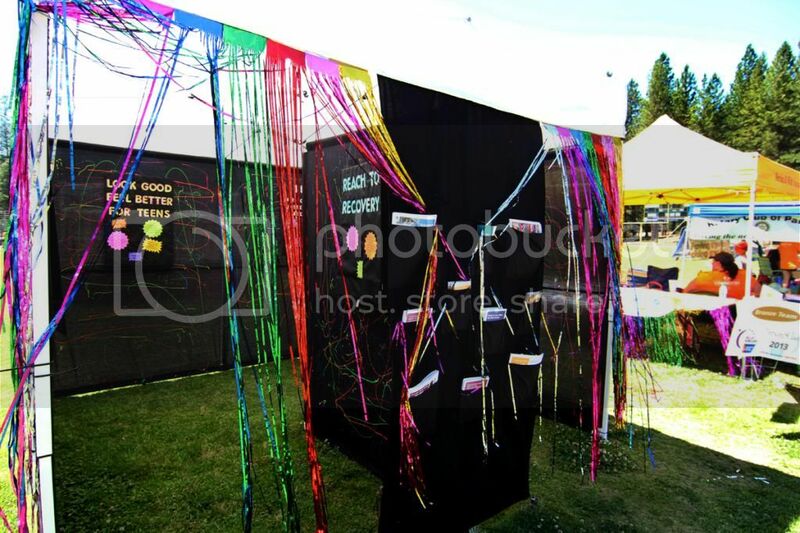 Walk through a mission statement display like our 1st place winner! 19. 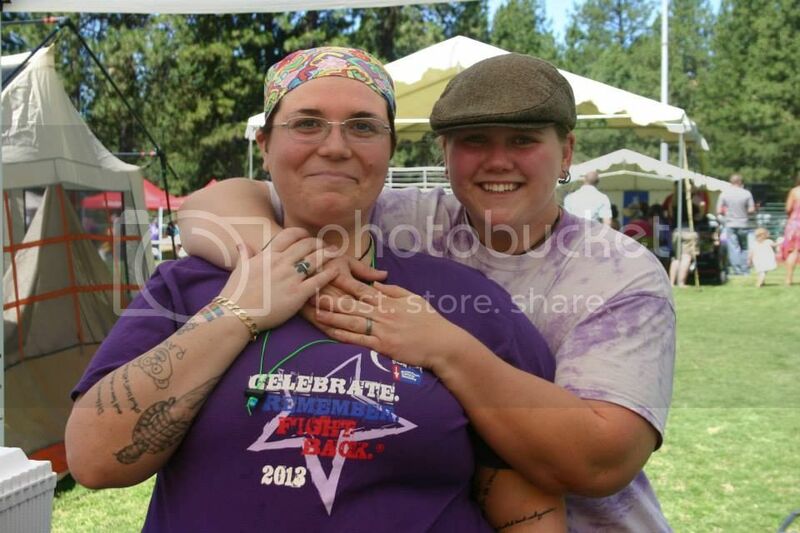 Help organize the biggest community fundraiser of the year with some great people. 20. Dress up like a beauty queen! There you go... wasn't that fun?! 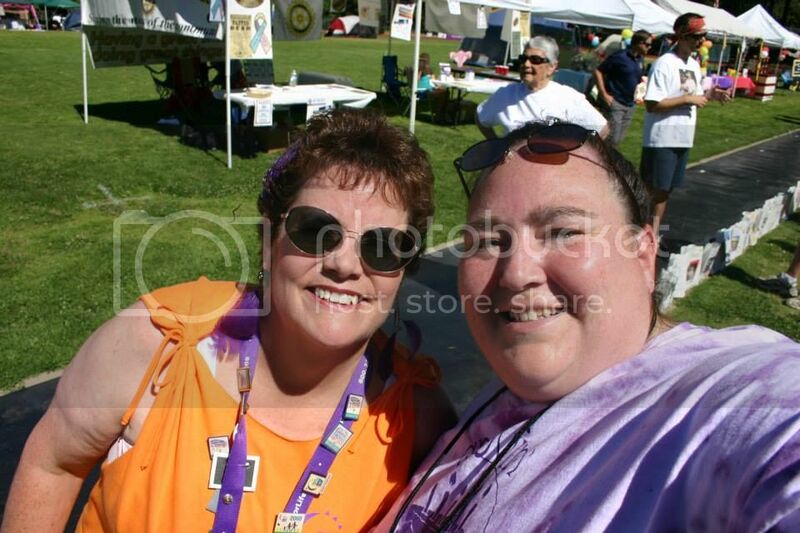 We'd like to give a big THANK YOU to all those who helped with the Relay this year. Donation of your time, energy, and money is all appreciated equally. From the bottom of our hearts we thank you. 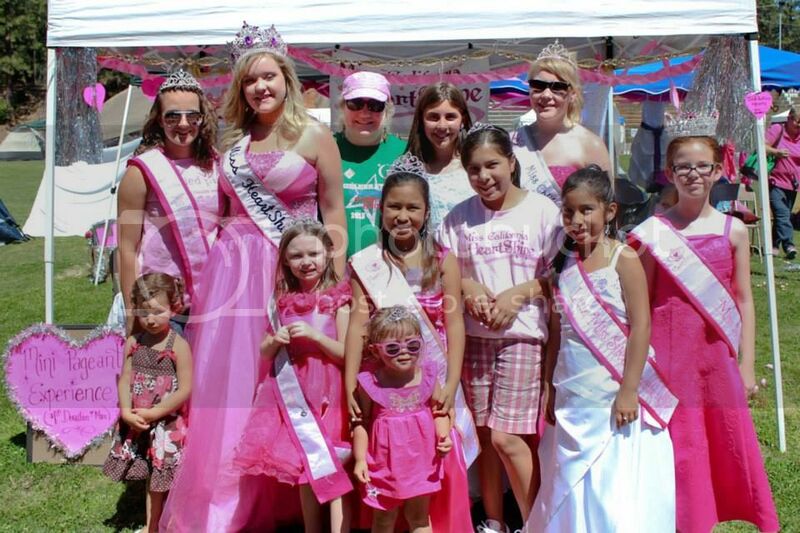 Next year, we hope you will join us again in our fight against cancer.